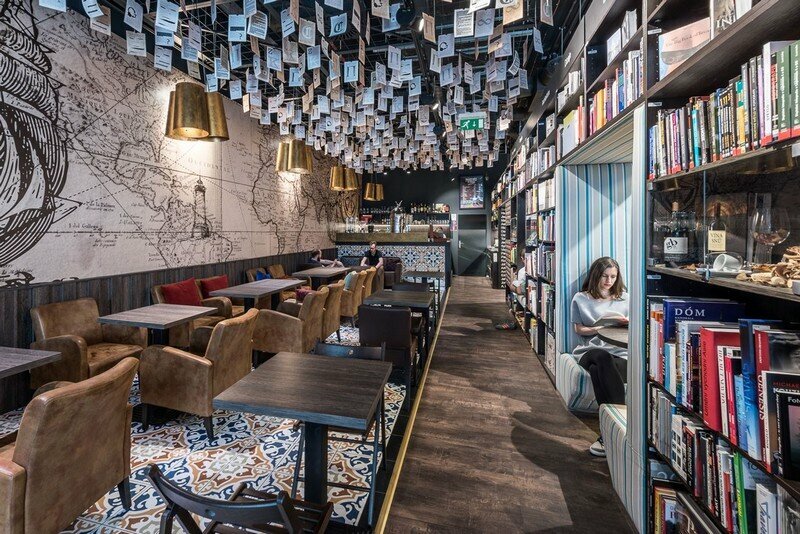 at26 studio has completed the interior design for Panta Rhei & Café Dias, a bookstore and cafe in Bratislava, Slovak Republic. 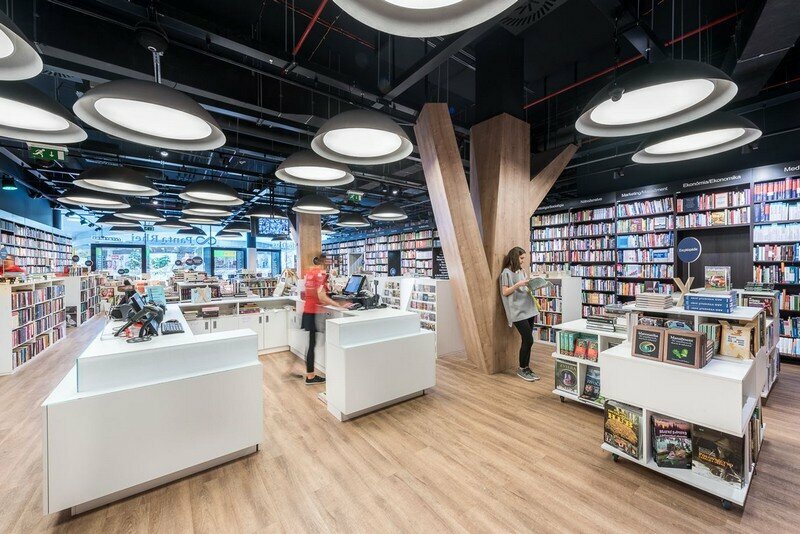 Project description: Panta Rhei is a well established and popular bookstore in Slovak Republic. 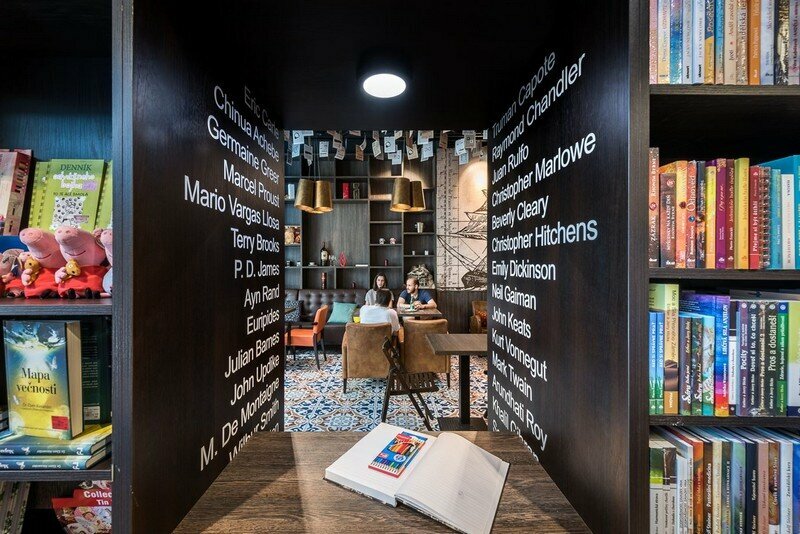 Café Dias is a coffee place, which became an addition to in Panta Rhei branches to support bookloving atmosphere. 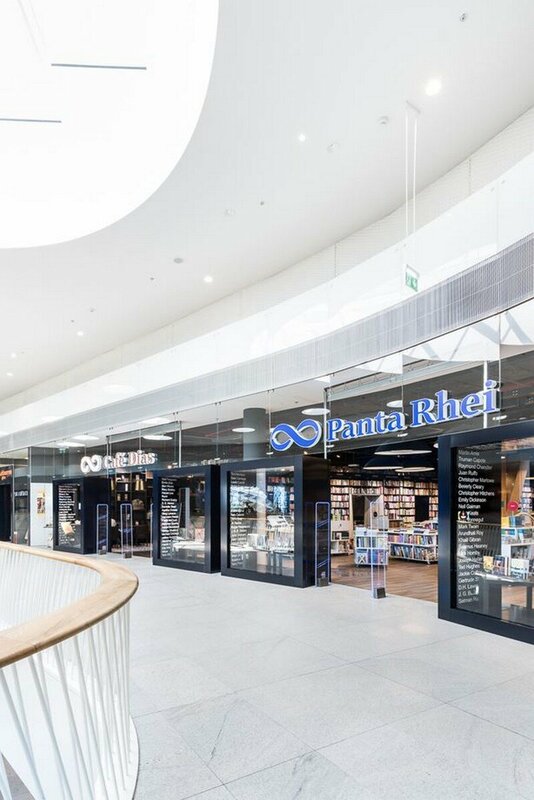 With its size, Panta Rhei is one of the largest subjects in its market segment. 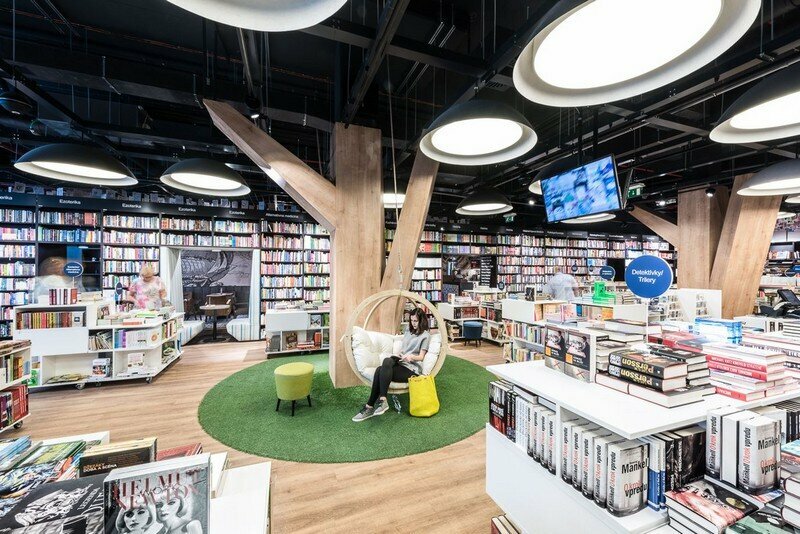 We were chosen for a competition to provide a fresh new design for the branches, and after two rounds we came out as winners. 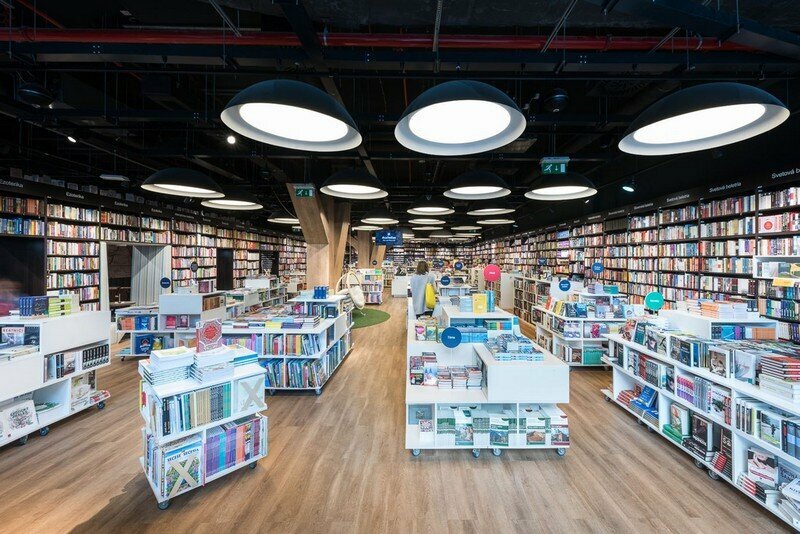 Our main goal was to create a design, that sustains the friendly face of the bookstore appreciated by its customers with a focus on quality and effectivity of the design and modularity of its parts. The elemental module, which we based the design on, is a book, specificaly a connection of a book and a shelf, which led us to find and define the basic proportions and relations between different elements of the interior. 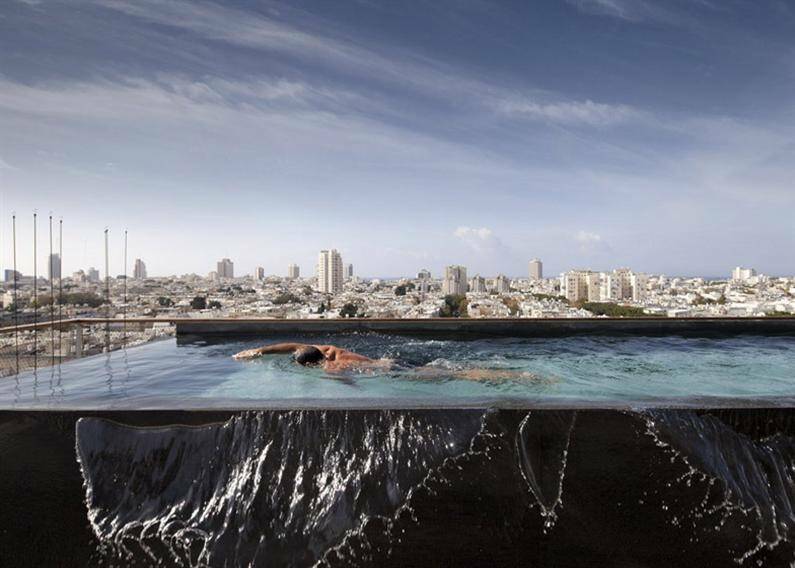 The goal was to make these elements aplicable in many different spaces. 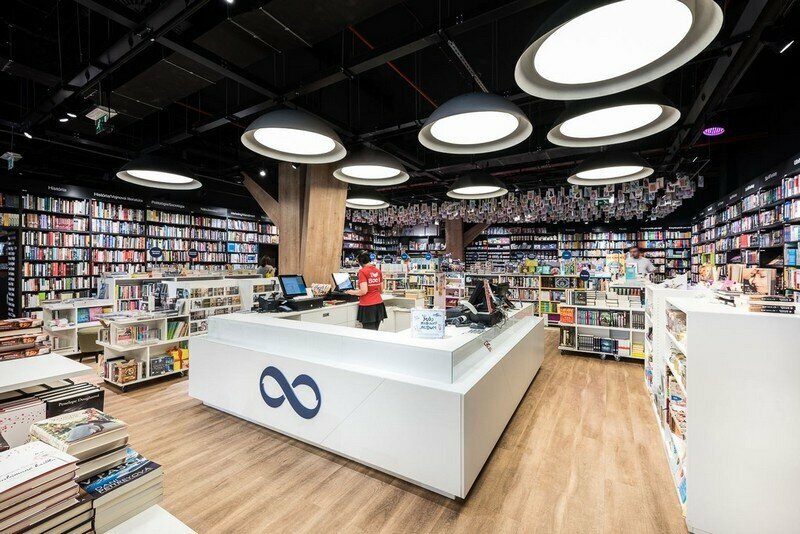 An interesting and important factor is the lack of separated storage spaces in Panta Rhei branches with a philosophy of maximizing the sales area. 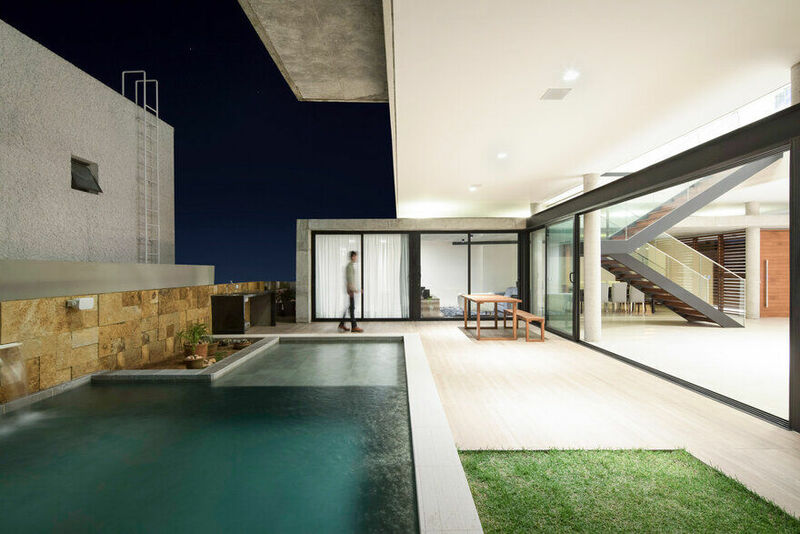 This factor determined a clear limits for the designing process with the need of displaying an enormous amount of titles. 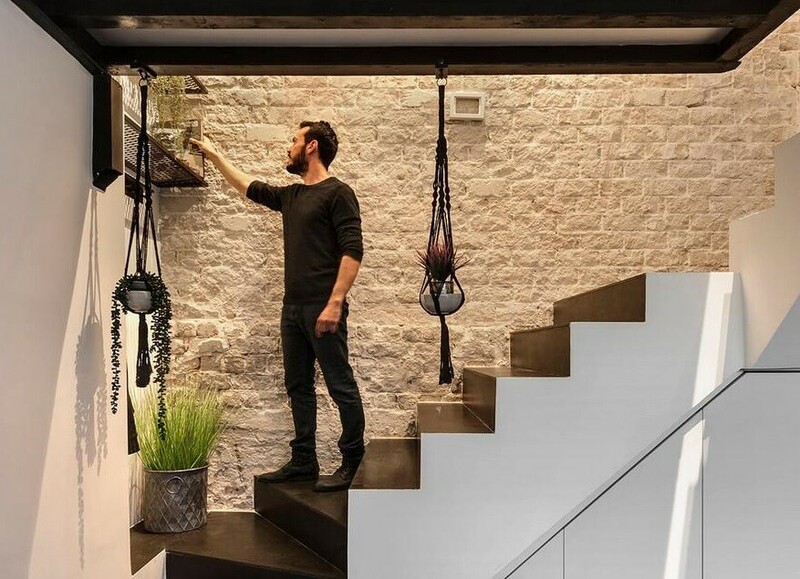 The whole concept is based on clear lines of the shelving system on the perimeter of the interior, which naturaly defines the space. 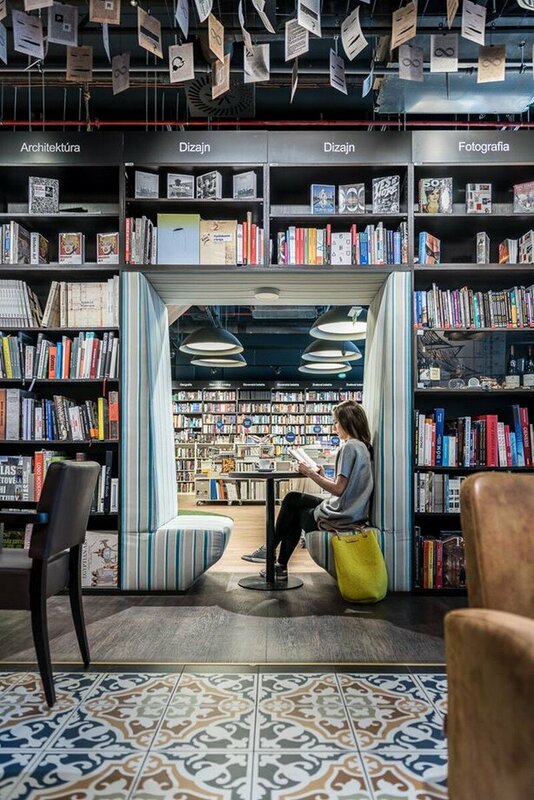 The shelves are also used as a barrier between the bookstore and the coffee place, with some segments left out to connect it psysicaly and also visualy with options to sit, read or walk through. 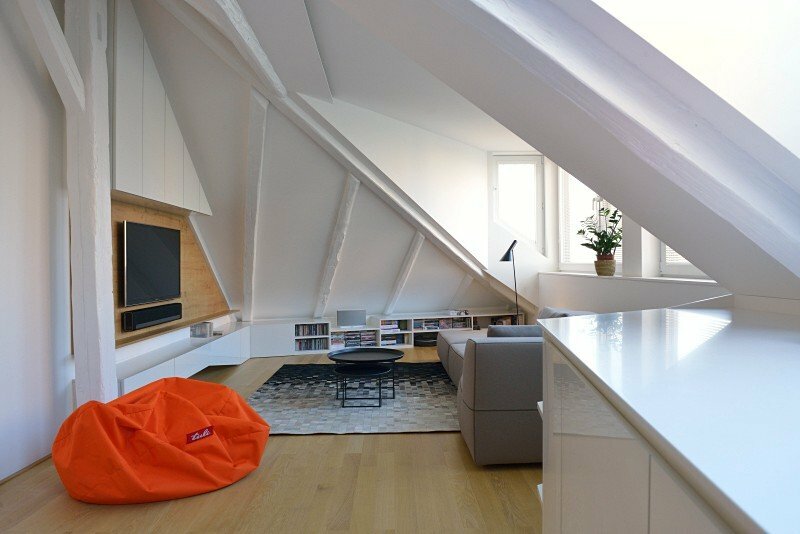 The colour scheme is very minimal, so the book as an elemental subject can visualy elevate the interior. 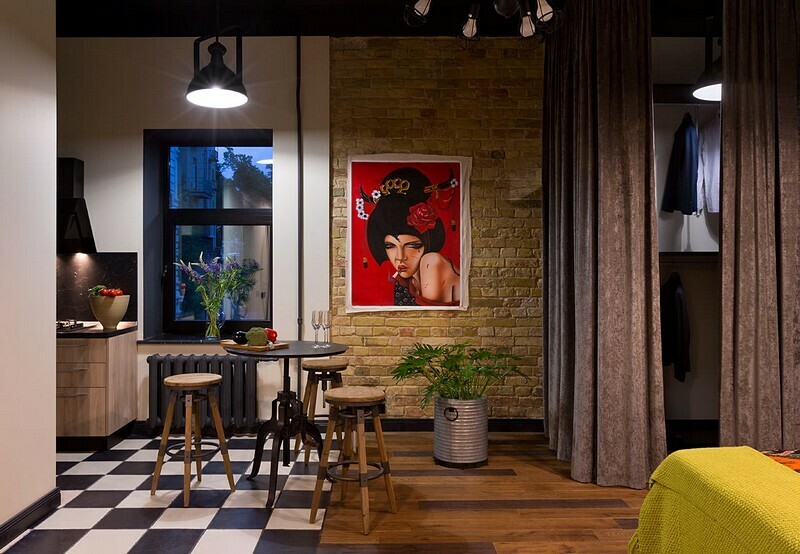 The space defined by dark wood shelves on the perimeter is in contrast with mobile modular shelving on the floor. Thanks to the lower height of this modular system, the orientation and navigation in the interior is very comfortable with the main accent on the counter in the center. 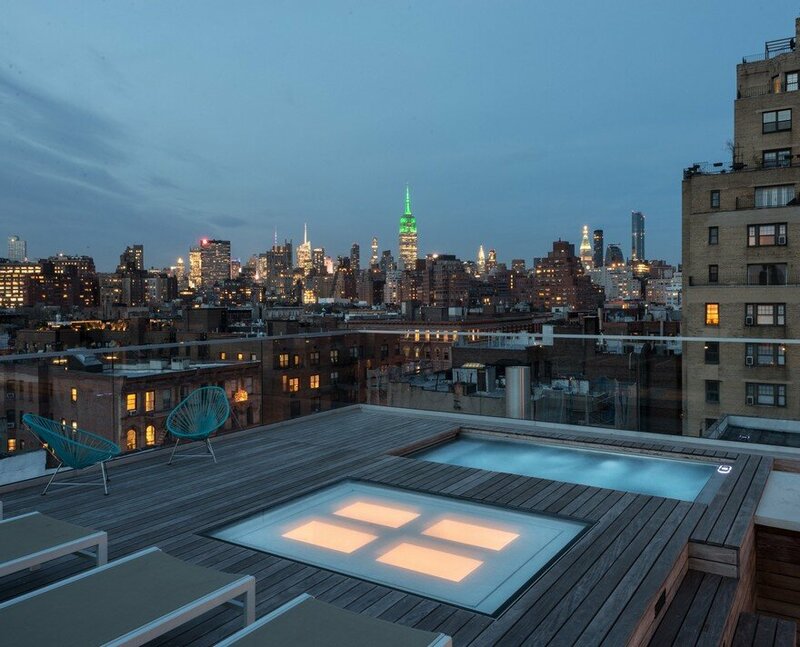 The modularity and mobility allows for the layout to be changed to suit various needs, such as events or public readings. 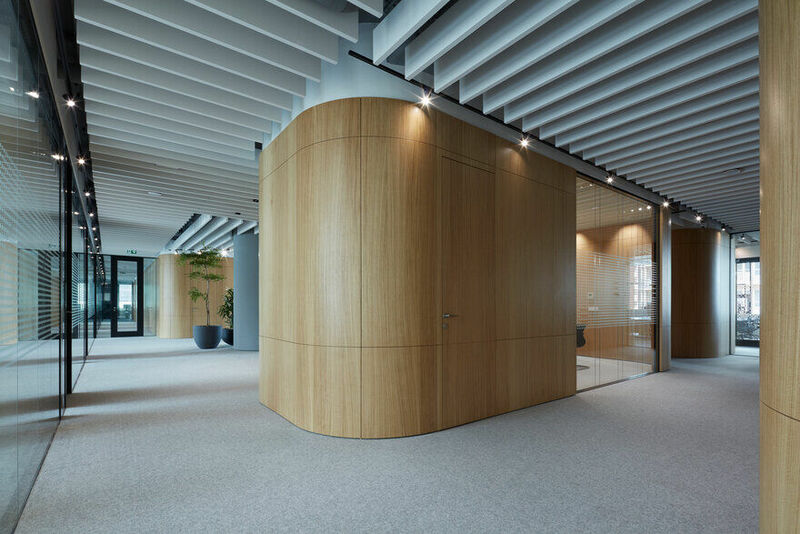 In some specific location we designed a treelike objects as a column cover to more enlighten the space. 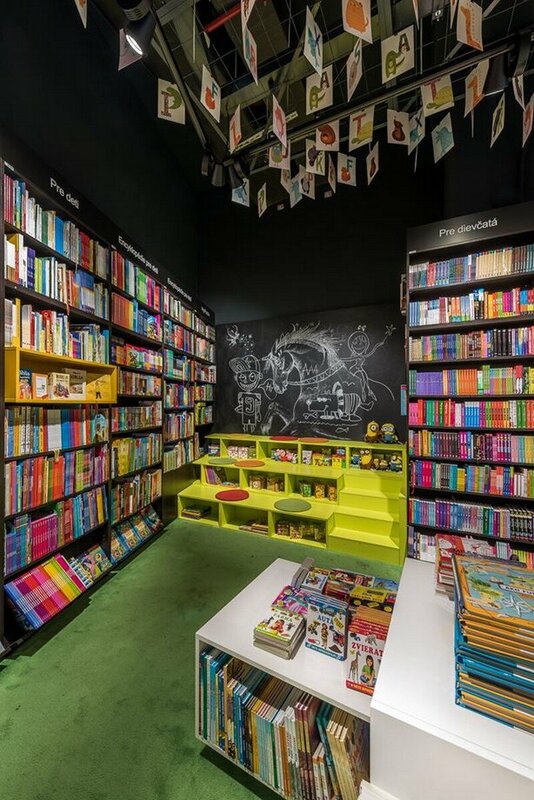 The space in the back is reserved for children books. With its vertical layered space resembling a hill it is a perfect area for kids to play, learn and find new friends and heroes. 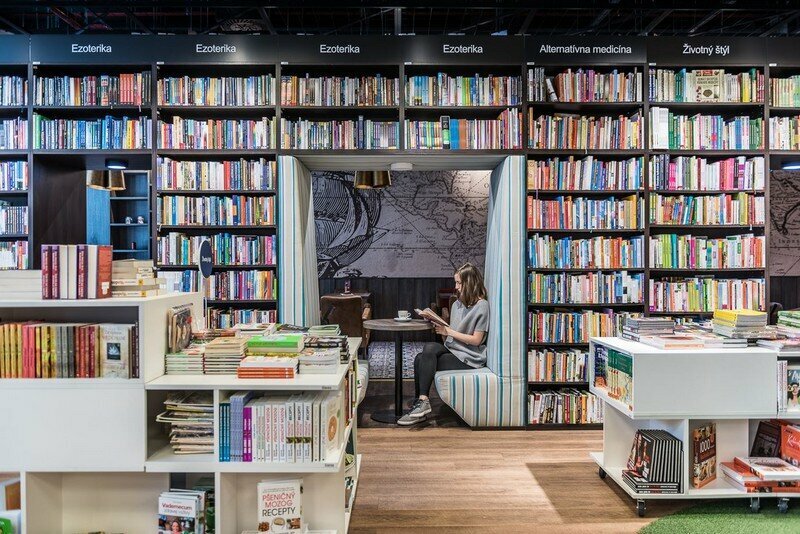 Cafe dias is a place of its own, but its strong connection with the space of the bookstore elevates the atmosphere of the whole and creates a homelike space with the desire to explore our imagination.